. إن الخدمات الممتازة وحسن الضيافة العالي في Sheraton Denarau Villas تجعل إقامتك تجربة لا تنسى. لضمان راحة ضيوفه، يقدم الفندق الخدمات التالية: خدمة الغرف على مدار الساعة, مكتب الاستقبال على مدار الساعة, مرافق مخصصة لذوي الاحتياجات الخاصة, تسجيل وصول/خروج سريع, واي فاي في المناطق العامة . في الفندق غرف نوم يتجاوز عددها 82، كلها مجهزة بعناية وجمال وبعضها مزود بـ تلفزيون بشاشة مسطحة, حمام إضافي, قهوة فورية مجانية, شاي مجاني, مشروب ترحيبي. سواء كنت من محبي الرياضة أو كنت تتطلع لتفريغ عناء نهار صعب، ستجد خدمات ذات مستوى عالي بانتظارك كمثل مركز للياقة البدنية, مسار جولف - ضمن 3 كم, حمام سباحة خارجي, سبا, تدليك. إن Sheraton Denarau Villas هو مكان مثالي للمسافرين الذين يتطلعون إلى الراحة والاستجمام في نادي. اعتبارًا من 6 يناير 2014، سيُطبق رسم إداري نسبته 3% على جميع المعاملات التي تتم بواسطة بطاقة الائتمان. وسيُضاف هذا الرسم على إجمالي المعاملة، ويُسدد عند تسجيل الخروج. لا تنطبق نقاط "ضيف ستاروود المفضل" (SPG) على الغرف المحجوزة على هذا الموقع الإلكتروني، ولا يتم احتساب الإقامة كنقاط تؤهلك للوصول إلى فئة النخبة. 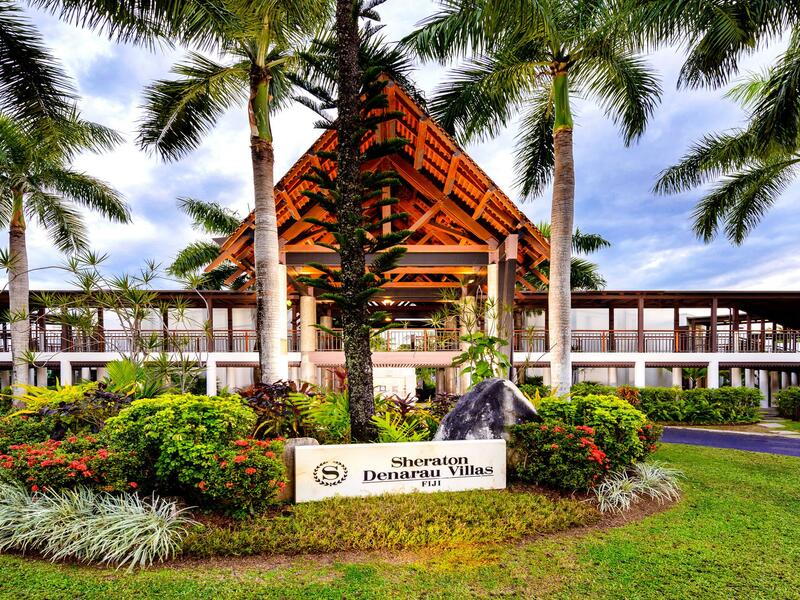 There’s no other way to experience Fiji than a Sheraton stay. From the beautiful staff to the amazing location with some of the best sunset watching spots to the comfiest beds, it’s everything you can ask for! Villa and Resort both have plenty of things to do to keep kids busy without even leaving the resort. It’s a fun setting for families and also plenty of relaxing spots for adults as well. Feast breakfasts are amazing. Anything you’d want to try out in fiji you’d find in their buffets, one day or another. The feast staff members were lovely too in paticular a staff member that was there during the weekday that would seat us for breakfast, he always had the most pleasant welcome and just made the start of the day a pleasurable one! The daytime security guard at the Villa during the week days was really kind, happy and delightful to come across on a daily. Reception staff were very lovely and helpful. It’s an all round amazing place to spend your holiday, thank you Sheraton Fiji! We love fiji in December, the weather is great and we can do all our activities with ease. We travel with young children who love the pools, kids club, activities, food, and staff who are amazing with children. Pros: very clean and well staffed, lots of things to see and do to keep busy, very clean pools for adults and babies. Nice food. Cons: everything is expensive in the resort. Water bottle cost $5. No any surrounding nice beach. We checked into Sheraton Villas early - about 9am. We were told that we were going to be upgraded. We had a leisurely breakfast. We were then told that we would be provided a room until we could check in for our villa. We then waited for a further 3 hours. We eventually were provided with a non-upgraded room about 30 minutes before the usual time. We thought this was not very good. The rest of the stay was very average. When I checked out, an additional amount was charged to my invoice. This was removed and no explanation was given. The stay at Sheraton Villas was not a good stay. Flying fish restaurant was disappointing and extremely overpriced but everything else was what I would expect from the Sheraton facilities. Found it confusing having to add on taxes when buying meals and drinks. The staff were so friendly and so helpful. We made many friends and will love to return to the Sheraton Villas for another wonderful Fijian holiday.. Bula.. Located in Denarau Island with beautiful front beach. Very impressed with facilities (water sport). Very clean villas with modern looking. Many choices of food from different restaurants. However, tour desk staff was not honest, suggest to book tour at port. This 2 bedroom villa is superb for us (4 adult and 1 child). The kitchen is fully functioning and the staff are nice and helpful. The pools are so beautiful. The only complain is the local call charges are very very expensive. We made a few short calls and it turned out to be about FJD80. Great. The room wasnt ready though when we checked in at about 4pm. My stay was so enjoyable. The lagoon and swimming facility is great for adults and kids.